Olivier holds the ALMS records for most victories and poles. After 8 years with Corvette Oliver parted with the team and started racing with Ferrari at the end of 2012. 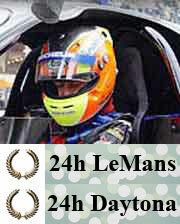 Oliver has won the American Le Mans series 5 times!